The chance to be twice as lazy. 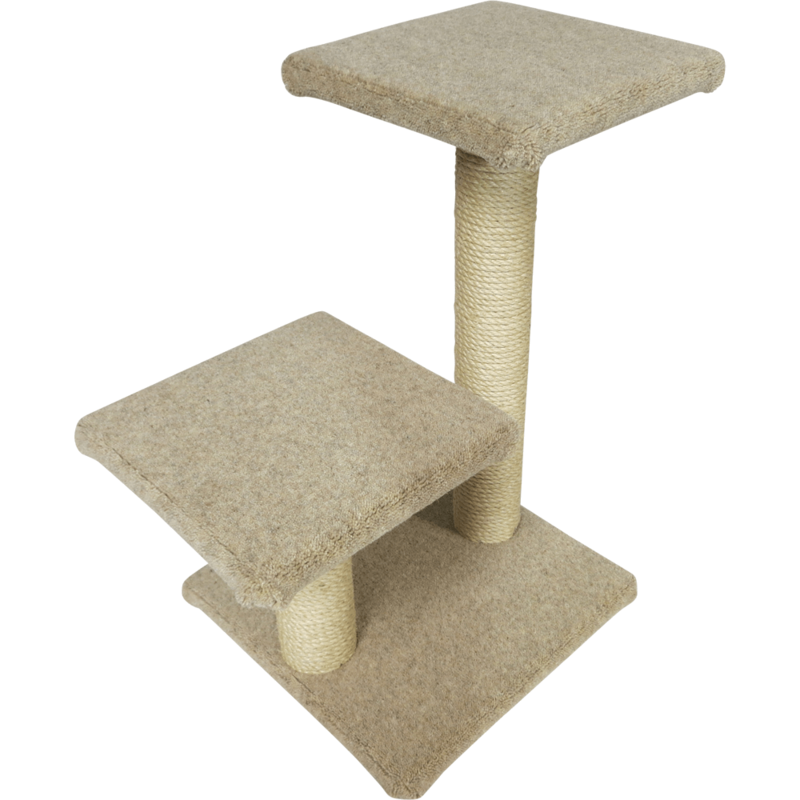 Two platforms and posts mean this scratcher is a great option for two cats or one very lazy one! The chance to be twice as lazy. 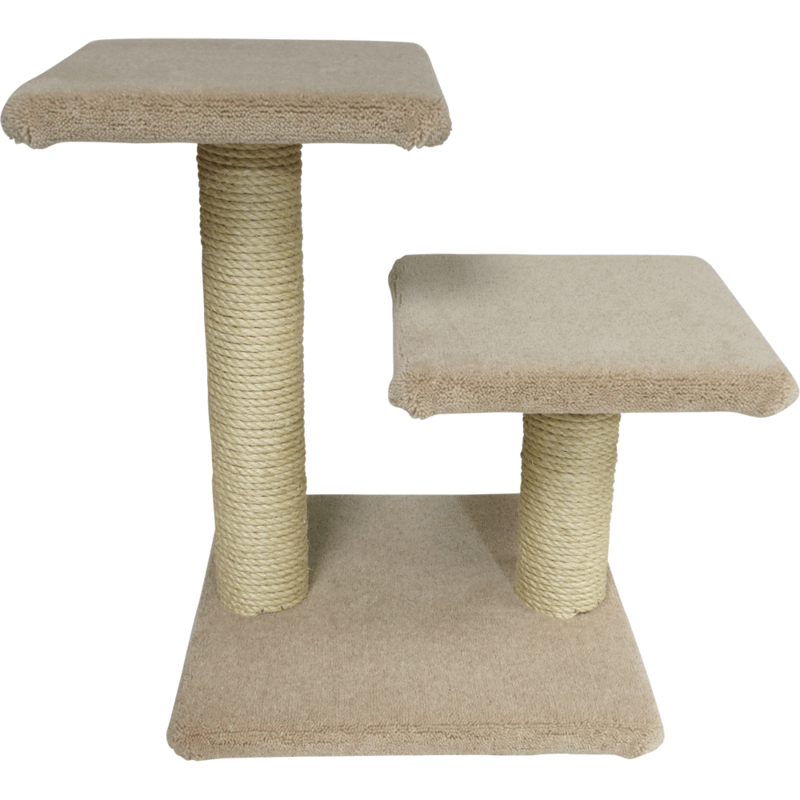 The Two Step scratcher provides double the laziness and double the amount of scratching! 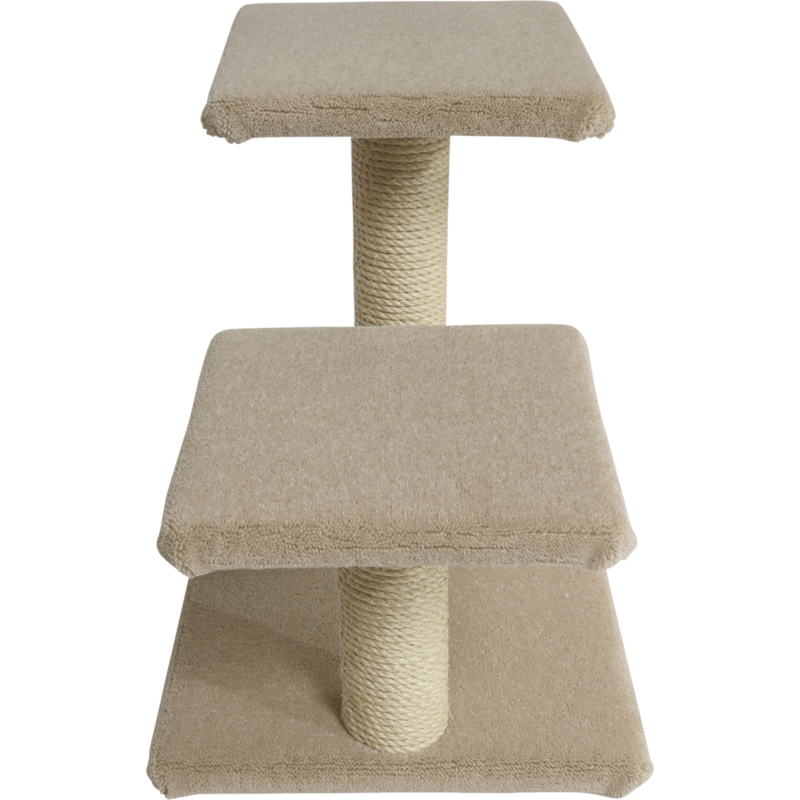 Give your cats a place to mark their territory and scratch away with the two step cat scratcher. It can also come in handy for the less able cats to use as steps up to something out of reach. This model comes with a 20 x 16inch carpeted base, two 12inch square platforms and two solid timber sisal wrapped posts, one at 19inches long and one at ten inches long.